Last Thursday 21 March we filled Borough’s historic Hop Exchange with positive stories and positive people (not to mention good food and drink) to reflect on a fantastic year. A fantastic year that included reopening of the Marlborough Sports Garden, the hugely successful Great Get Together street party, five gardening awards for our much-loved open spaces and attracting hundreds of kids to free play schemes at Living Space in Waterloo. All this on top of regular gardening groups, training up new gardeners for free with Future Gardeners and supporting the local community with garden expertise and events through Green Champions. We were also delighted to share our stage with Professor Kevin Fenton, strategic Director of Place and Wellbeing at Southwark Council and multi-award winning garden designer Jo Thompson. Professor Fenton spoke about the future of social wellbeing and highlighted the vital importance of accessing green spaces. Jo Thompson spoke about her journey into garden design, a theme that felt very apt given her support of our Future Gardeners scheme. 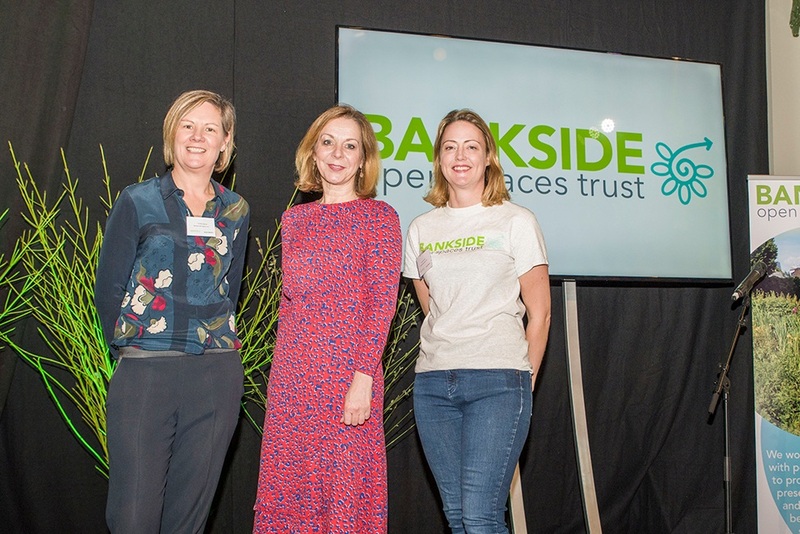 Throughout the evening Bankside Open Spaces Trust gave out awards to individuals and organisations who have given up both time and money to help our small charity make a big difference. Local resident and Olympian Tom Daley was on hand to thank the London Marathon Charitable Trust for their support of Marlborough Sports Garden (a sports ground in Borough well used daily by local workers and school children). Southwark Mayor Councillor Catherine Rose handed out the Business Champion award to Keltbray for their consistent in kind support. While two past students of the Future Gardeners course gave Great Portland Estates an award for their generous support of the training scheme. 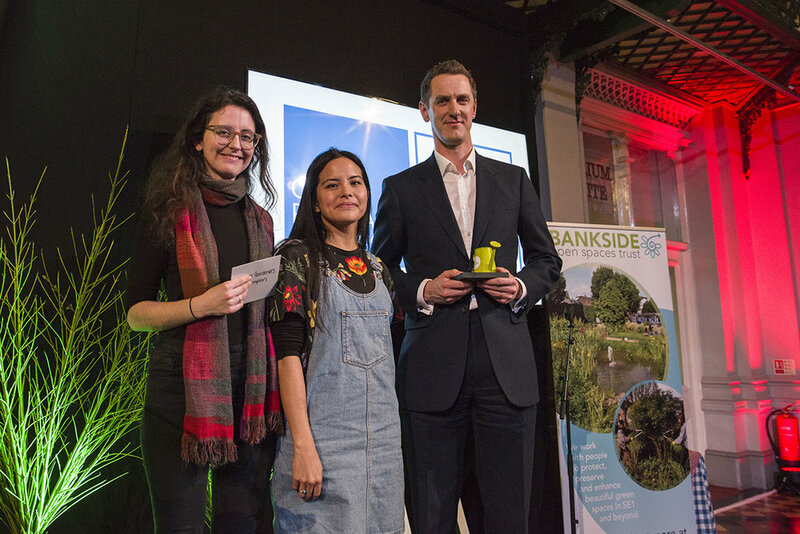 Finally the Outstanding Contribution award went to long standing volunteer Sergio Bono, delivered by Bankside Open Spaces Trust CEO Charlotte Gilsenan. We had an incredible night bringing together so many supporters – volunteers, local council representative, businesses and funders - for a night of thank yous and reflection. The evening was made possible through the generosity of many, particularly Peer Group Plc whose Hop Exchange atrium we used for the party. Like all gardeners in springtime, we are sowing the seeds for another successful year now. With plans afoot for a children’s Easter Egg Hunt at Red Cross Garden and, of course, The Great Get Together in June. From top left: A packed Hop Exchange, Bankside Open Spaces Trust CEO Charlotte Gilsenan with Jo Thompson and Future Gardner Coordinator Louisa Mansfield, volunteer Sergio Bono receiving his award, past Future Gardeners Poppy and Julie with a representative from Great Portland Estates (who have generously supported the course), Professor Kevin Fenton, Southwark Mayor Councillor Catherine Rose with Keltbray, Tom Daley looks back at reopening the Marlborough Sports Garden, Tom hands our Sports Garden Champion Award to the London Marathon Charitable Trust.